The Courts are closing and the Court service is looking at bringing in an “Online Court.” This is where the Court Video Van comes in. The ample rear of the van is kitted out as if it is a room at a court (there was a blue backcloth and the Royal Crest); it is fully functional, and the sound and picture quality are easily more than adequate (depending always on the Wi-Fi link). 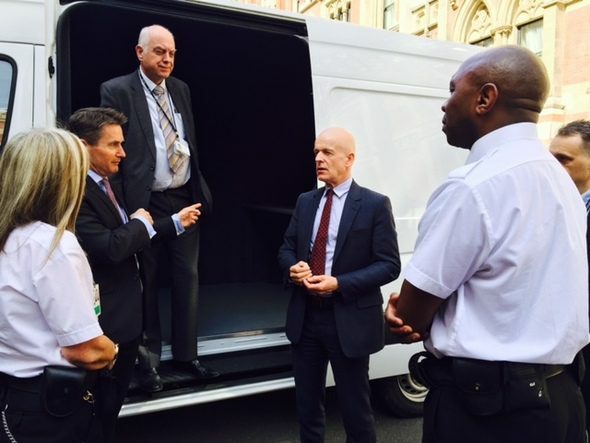 Although the van is only at “proof-of-concept” stage, it is an example of the creative approach to problem solving that will be used to deliver access to justice in the digital age. Potentially, witnesses will be able to give evidence in this way from close to their homes, in the vans’ ample rears and video vans may be able to supplement existing, but often inadequate, facilities in prisons.